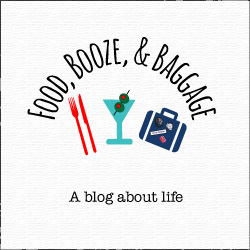 I’m getting into the holiday spirit with a few drinks for your next holiday get together. 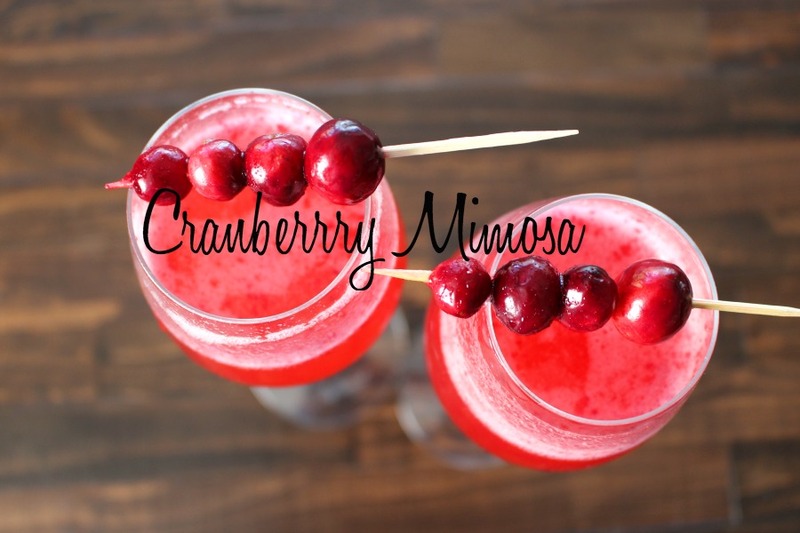 These three drinks were inspired by a drink I tried at Great Maple, a cranberry mimosa but it was not what was expected and was too sweet and too spicy. I wanted something that captured that fresh cranberry flavor, enter cranberry puree. To make the most of the puree, I decided to turn it into 3 drinks. 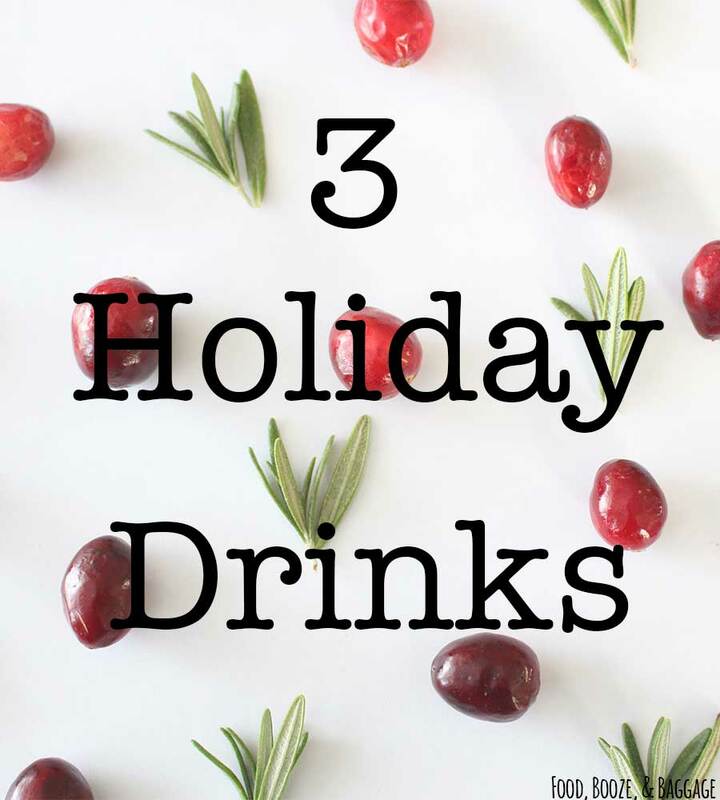 What’s better than one drink…of course three!! The puree and the syrups can be made a few days ahead of time, and refrigerated. Both should be made in enough time for them to cool before using. Throw all the above into a medium sized pot. I used apple cider because we had that around, but orange juice (or water if you are in a pinch) will work just as well. Cook over medium heat until the cranberries start to break down and soften. Once they are broken down (you don’t want to go too far you don’t want jelly), take off heat, and allow to cool. Place into blender or food processor to puree. You want to process this well, depending on how well you get it processed, you may want to strain it. This will not be syrup consistency but more like cranberry sauce, so you need a sieve. For the Orange Syrup-add in rind from one whole organic orange. I use a vegetable peeler instead of a zester to make it easy to pick out the pieces. Bring to a boil, simmer for a few minute for the regular and about 10 minutes for the infused syrups. Leave the infused syrups with the additions in the pan for an extra 10 minutes after turning off heat. My syrup is not clear because I use organic sugar, but if you use plain white sugar than it will be clear. 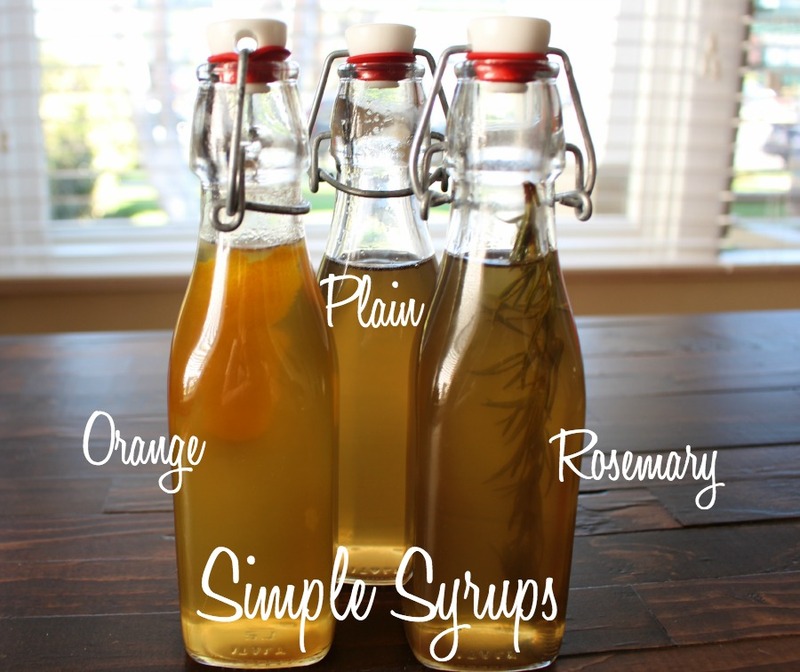 Simple syrup will keep up to a week so you can do one per night prior to your party if you want to cut down on the work. DO NOT fill the glass all the way just add in less than half of the cava and stir the mixture, than top off the glass. 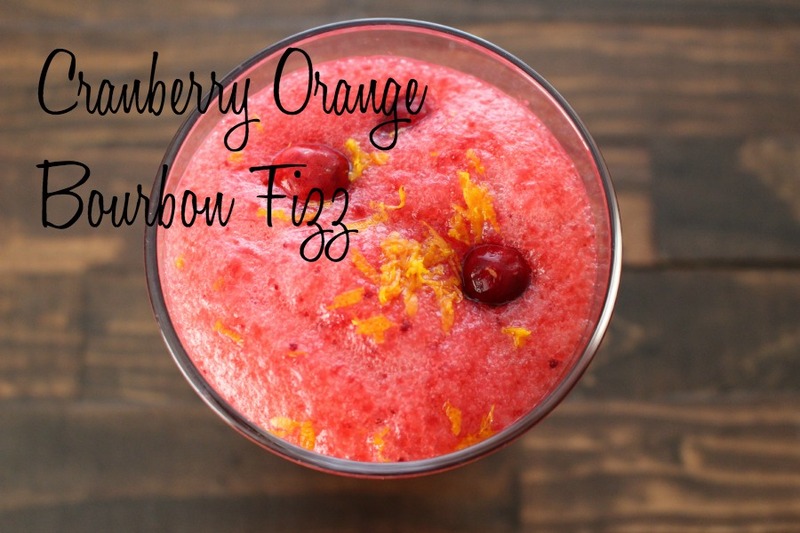 Mix the syrup, gin and puree together. Add a little of the soda water, and stir. Top off with remaining soda water. 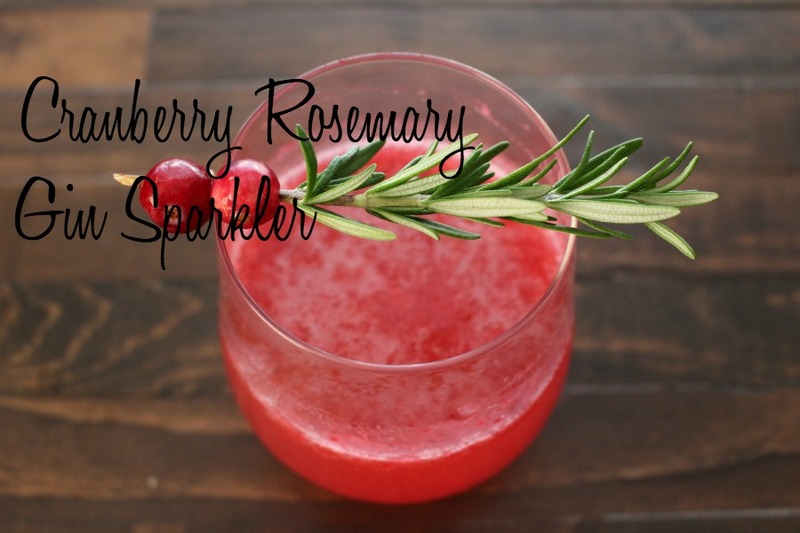 Garnish with super cute rosemary and cranberry stirrer. Just snip off end of rosemary sprig at an angle so you can get the cranberries on there. Mix puree, syrup and bourbon together. Add in soda water (if you are using a large glass you may want to only do half). Garnish with orange wedge or zest. For the bourbon I used Willet because that is what we had open. I recommend a bourbon that is not too smokey. My normal go-to bourbon is Four Roses, it would work really well in this. I don’t like my drinks too sweet. If you want yours sweeter, add in more simple syrup. The puree is made to be tart so that each drink can be made to taste using the syrups. I love things that are multitaskers 🙂 The syrups and puree can also be mixed with the soda water for a fun non-alcoholic drink option too.